The Strv m/40L is a Swedish tier 3 light tank. The Strv m/40L leads to the Lago. This tank plays somewhat light the British cruiser tanks in that it performs more like a fast medium than a light tank. It has good frontal armour that can bounce a surprising number of shots and excellent penetration on both guns. The main downside is the low alpha damage and DPM, coupled with the large dispersion while moving the tank, which makes it difficult to deal sufficient damage in a short time. As a result, the Strv m/40L performs poorly when it's not top tier, unable to deal damage effectively, while the poor radio range limits its usefulness as a scout. The tank should be used on hilly terrain where it can use it's decent armor and crazy gun depression to good use. The stock suspension does not allow for upgrades and should be researched first. Sweden was now in a really bad situation. Its neighbor, Finland, was already involved in the war with the Russians and in 1940, the other neighbor, Norway, got invaded by the Germans. To top it all, the previously ordered 90 Czech TNH tanks (the order was made before the invasion of 1939) had been now cancelled by the Germans, who seized the tanks for their own army. This meant that Sweden was cut off militarily from the outside world and would have to rely on its own tank designs. Therefore, the L-60 was modified once again, this time with mass production in mind. 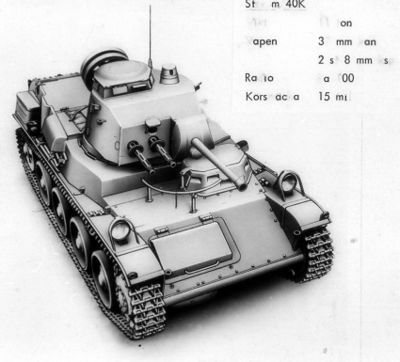 The tank was largely the same as the L-60-SII, but was now equipped with an automatic gearbox, some vehicles could even mount a mortar on the back for infantry support in addition to the applique armor, but mainly the tank was simplified for mass production. The vehicle was designated Strv m/40L (“L-60-S III” by Landsverk). A total of 100 tanks of this type were produced between 1941 and 1942. 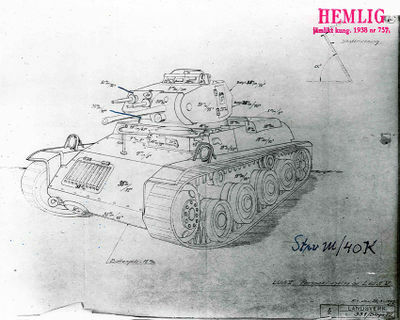 By 1943, Landsverk started to produce a heavier tank design and no longer had the capacity to produce the L-60 series of tanks, so instead, their production shifted to Karlstad Mekaniska Werkstad. The L-60 design received another overhaul and the suspension was finally improved to the point where the applique armour could be built in from the start. Other than that, a new and more powerful engine was fitted, the result of which was making the vehicle longer. This tank model was designated Strv m/40K by the army (and L-60-SV by Landsverk). An interesting thing to note is that there is no information on the previous L-60-S IV design, other than it weighed 12 tones and had the same armament as well as an unknown 180hp engine. Nevertheless, 80 Strv m/40K tanks were produced between 1943 and 1944 and this was the final version of the L-60 to be produced during the war. 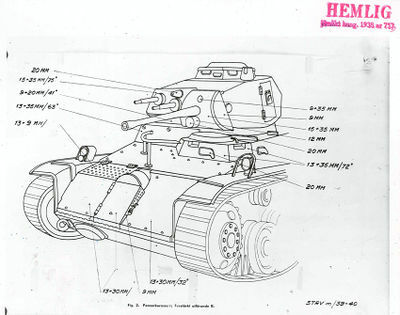 After the war, some models of the tank were still in active service during the 50s, there were even plans to re-equip the tanks with a new turret with a 57mm gun. The idea had been around since 1944, but the first prototype was only ready by 1949-1950. The prototype hull was that of the Strv m/40L and the turret mounted the 5,7cm Pvkan m/43 gun. 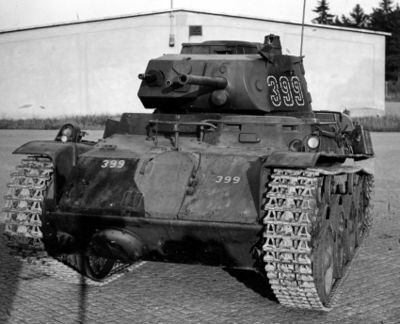 The vehicle was designated Pvkv IV “Värjan” (Pvkv meaning “tank destroyer 4″, it was named “Värjan” after a kind of sword, used by the Swedish Carolean army in 16th century). 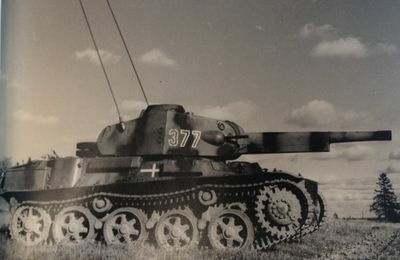 The new turret and the gun increased the weight by 500kg, but this was compensated by the removal of the applique armour. 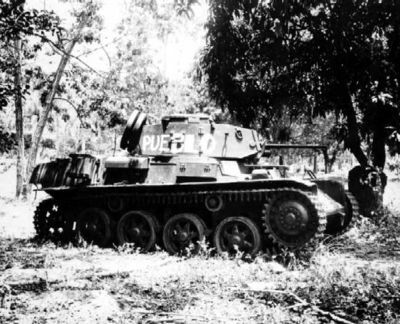 The turret was poorly armored to keep the weight down, with a 20mm gun mantlet and 12mm of armor everywhere else. The trials of the prototype showed that there were big problems with the aiming system and the project was discontinued. The last model of the L-60 to serve with the Swedish army was the Strv m/40K, which was retired in 1957. However, a few years later, 25 Strv m/40s were sold to Dominican Republic. There, some of them would serve until the 1990s. In fact, three of these tanks were lost while fighting the American marine corps, one was even destroyed by a M48 Patton. Stridsvagn m/38 on display at Beredskapsmuseet in Helsingborg. This page was last modified on 19 February 2018, at 17:01.